Hello and happy wine Wednesday, wine lovers! I hope you have had a fantastic week filled with sunshine and you have been out enjoying the beautiful autumn colours. This may just be Vancouver’s most beautiful October ever! This month started off well with my trip up to the beautiful Okanagan for the Wine Festival. As stated in previous posts, I met some fantastic people and some great talent. One of those people was Karen Gillis, who is the talented and oh so humble winemaker at Red Rooster Winery in Naramata, B.C. The wine on the review block this week is Red Rooster’s Reserve Pinot Noir 2011. Pinot Noir can be a finicky grape and, to be honest, it isn’t my favourite grape variety (except when it is in Champagne – then YUM). I’m not sure why – so when a Pinot Noir comes along that I like, it is a good day! Red Rooster’s Reserve Pinot Noir 2011 is pale ruby red in the glass with aromas of spice, tobacco, cherry, strawberry and a dash of vanilla – nice. On the palate, this Pinot Noir is pretty darn mouth watering! It boasts medium plus acidity, medium minus tannin, medium minus body with medium alcohol at 12%. The flavour profile is medium to medium plus and full of bright red berry fruits and that touch of tobacco smoke and spice that was on the nose. The finish didn’t linger too too long but long enough. I liked it. 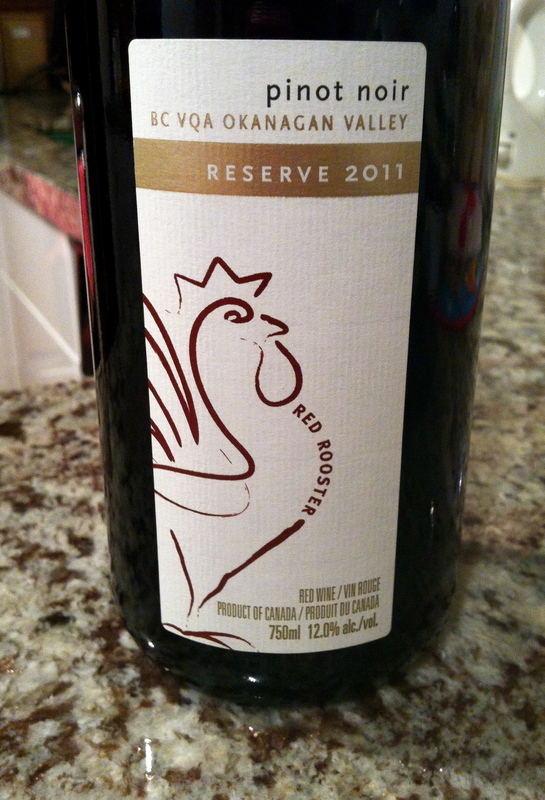 Red Rooster’s Reserve Pinot Noir 2011 is available on line for purchase as well as some B.C. Liquor Stores and retails for $24.99. It is perfect Pinot Noir weather right now and this wine pairs beautifully with salmon or even some vegetable based pasta dishes. It is a good bottle of wine. A really juicy glass of Pinot Noir! Nicely priced at $24.99 for a reserve bottle of B.C. red! Pairs beautifully with salmon or mushroom based pasta or rice dishes. This is a GGG “Hell Yes”! My favourite grape is Chenin Blanc. Love your site. Wish you would do a daily post. Wow! Thank you for the feedback and suggestion! I will try to up my posts…Thank you. Pinot Noir, (my #1 Favourite) Whatever grape goes into Sauvignon Blanc and Italian Valpoliciello. 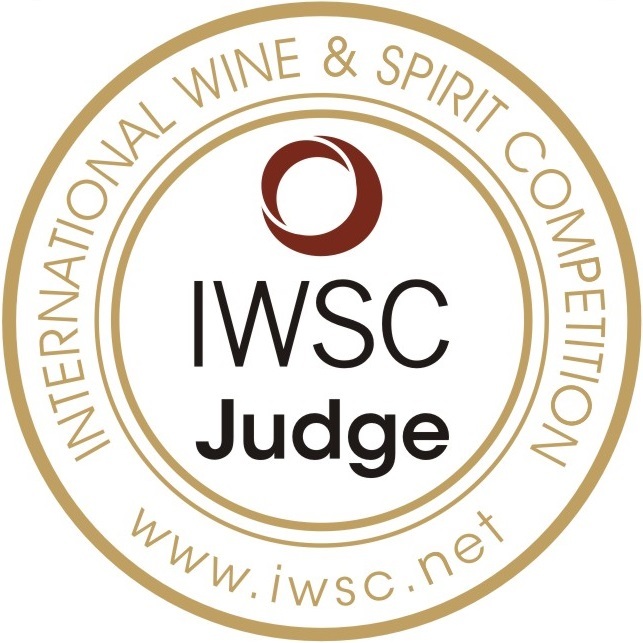 I love the Oregon Pinots, New Zealand sauvignons and Italian reds, particularly certain “Vals” – European reds agree with me very much, likely because there are less sulphites in them but a number of Oregon Pinots go down really well!! !